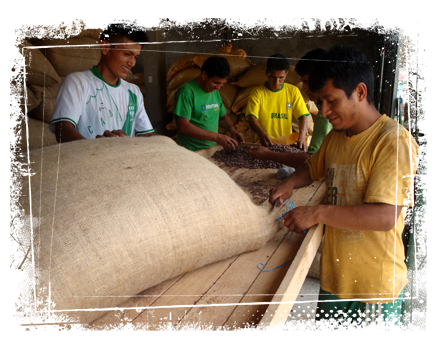 Our cocoa production branches in Ecuador, São Tomé and the Dominican Republic are well organised. 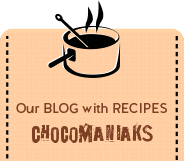 The watchful eye of KAOKA shall remain, but the chocolate tycoon felt it was time for a new adventure. So bags were packed and the search for new wilderness, lands of this precious fruit, the cocoa, began. 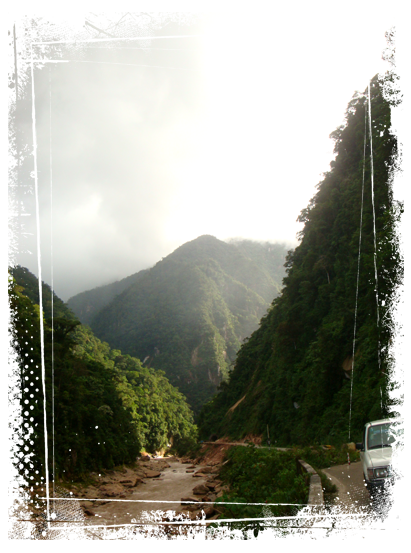 The journey led to the depths of the Amazonian rainforest, in the region of Ucayali, Peru. Just a few years ago, this region was still governed by the Shining Path and, therefore, closely linked to drug trafficking. Once free from the clutch of the party, producers slowly turned to other cultures, including cocoa. Arriving in this complex economic and political context, KAOKA took its time organising three exploration missions to launch the project. 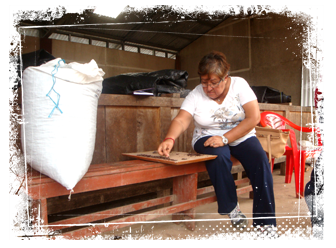 We even commissioned the expertise of Rosa Perez, our Ecuadorian cocoa expert, who travelled to Peru. Her wise taste buds confirmed the aromatic quality of Peruvian cocoa. Convinced, the start of a new adventure for KAOKA began! 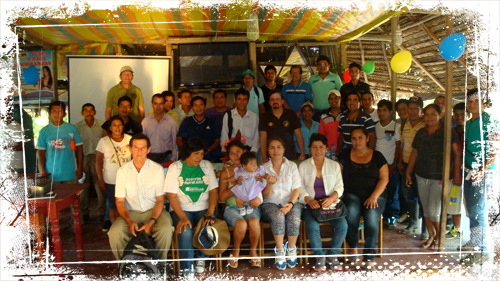 KAOKA formed a long-term partnership with the Colpa de Loros Co-operative, which comprised of 3 farming groups: Virgen del Carmen, Nolberth and San Alejandro, encompassing 252 farming families. Their plantations respect the principles of agroforestry, in other words, that cocoa plantations contain numerous other fruit trees (orange trees, avocado trees, papaya trees, banana trees…). 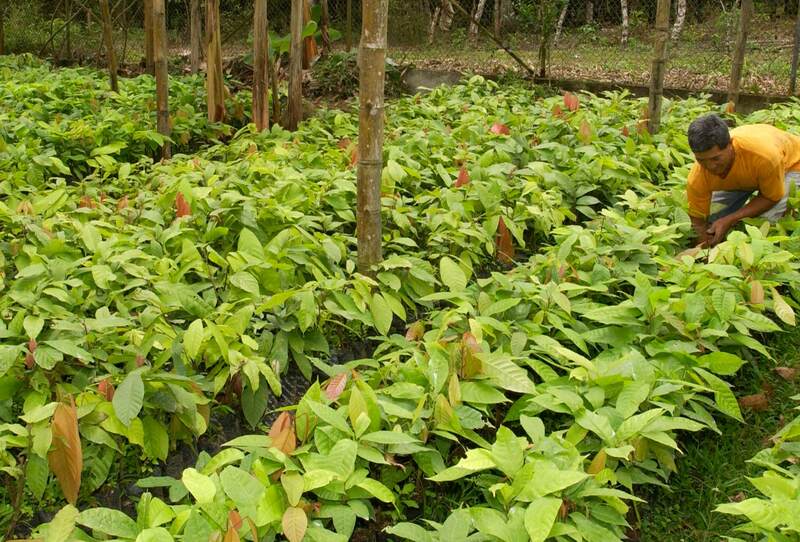 These subsistence crops provide the farmers with extra revenue during the low season of cocoa production. Here, there was no need to renovate cocoa plantations, as was necessary in Ecuador and São Tomé. The plantations are new and productive. Therefore, in partnership with the producers, KAOKA can concentrate on the development and on increasing the number of cocoa varieties selected for their aromatic quality. 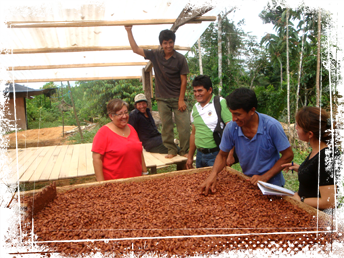 During her trip to Peru, Rosa Perez also took the time to train producers in cocoa processing and quality control. Full of curiosity, they all attentively listened to Rosa’s sacred advice. 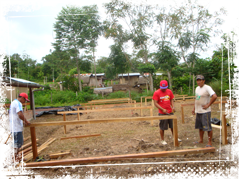 Producers in the Virgen del Carmen group worked together and organised the construction of their cocoa processing centre, with the support of KAOKA. In May 2016, they recruited their own technical team, to be responsible for the fermentation and drying of the cocoa beans being accurately executed. 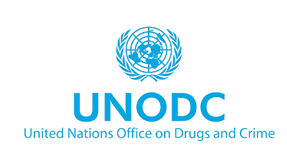 This project was made possible thanks to the support of the UNODC (United Nations Office on Drugs and Crime) and funds from the German Ministry for Economic Cooperation and Development, which provided technical support in the fields and financial support for infrastructures. The first cocoa bean export was made in September 2015. The event was strongly supported by the local press. 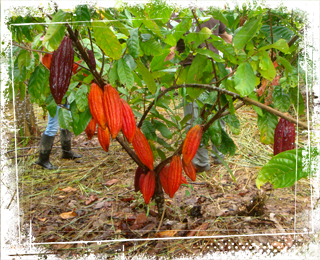 Peruvian cocoa beans will initially be used to produce butter and powder. And, in the future, pure Peruvian chocolate bars will most definitely be on the table.